Polaris Industries displayed new survivability technology for military vehicles at the AUSA (Association of the US Army) 2012 Annual Meeting & Exposition last week. On display was their new advanced armor technology and non-pneumatic tires. The technologies are an extension of the companies strategic push into the military segment that they have executed in recent years. …lowest pounds per square foot of any armor available in today’s market. 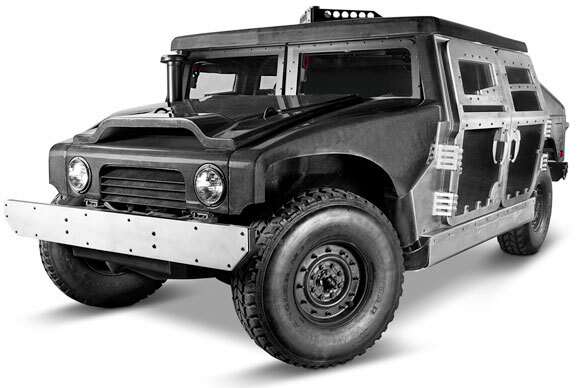 The steel-hybrid composite armor, in conjunction with a high-speed production process, allows the Polaris/M9 team to form this cutting-edge armor into capsules and other ballistic vehicle components at speeds comparable to that of sheet metal processing, greatly reducing the overall cost. Shown on a lightweight, tactical vehicle, the product is potentially applicable to a wide-range of combat vehicles. Comment: It will be interesting to see how fast the non-pneumatic technology is incorporated into non-military applications. You could potentially see it being applied in specialized or extreme work or recreational riding applications. I also think this is another example of how the quality of the company’s management team is driving their growth. While vehicle related, the armor technology could potentially open a new product market for them, building on the relationships they are establishing in the military segment. 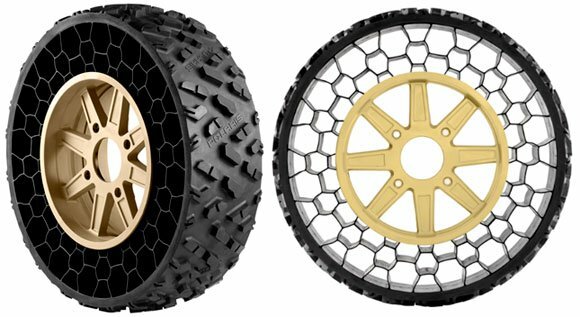 The tire technology is an example of how their foray into the military segment could produce differentiating technologies for their non-military vehicles. This entry was posted in market trends, Technology, utility vehicles and tagged armor, Ausa, M9 Defense, military, non-pneumatic tire, Polaris, Polaris Industries, Resilient Technologies, tactical vehicle by Marc Cesare. Bookmark the permalink.